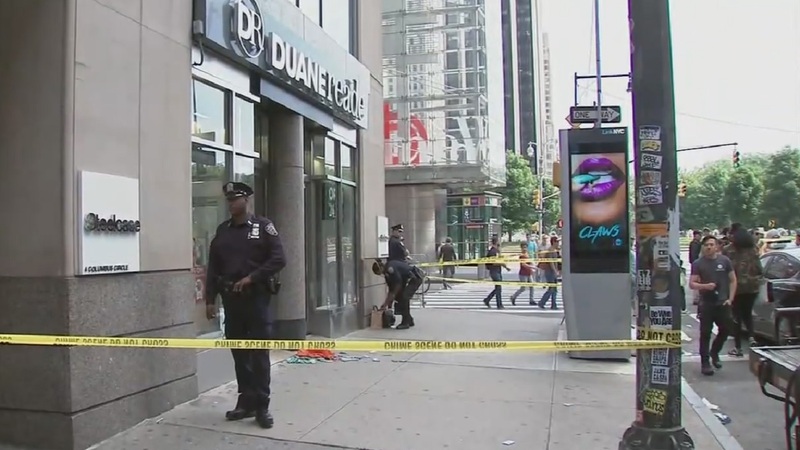 COLUMBUS CIRCLE, Manhattan (WABC) -- Police are investigating a slashing at a Duane Reade Pharmacy at Columbus Circle. Officials say workers saw the suspect shoplifting. A customer then tried to detain the suspect, and was slashed in the arm. The suspect fled the scene, and is still on the loose. The customer, a tourist from Utah, is in stable condition.